Two concentric brass ovals adorned with tiny pops of color complete this whimsical pendant. 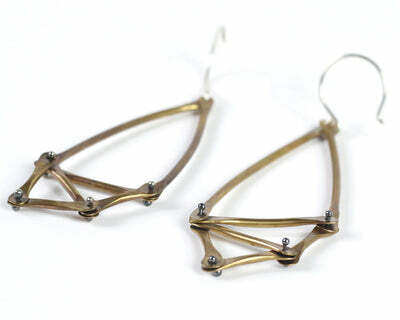 The oxidized brass ovals are fabricated and riveted with colorful seed beads. 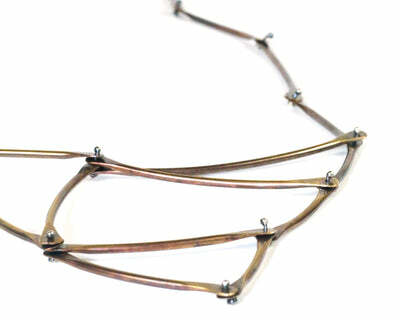 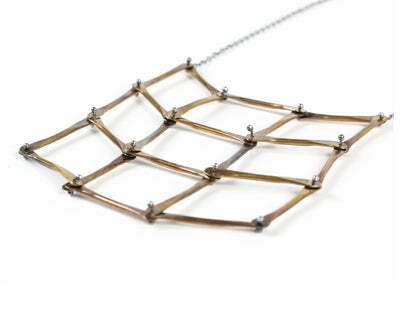 They hang on a 17" oxidized sterling silver chaing, which can be made to any length upon request.